Dispelling common myths about introverts, this practical guide explains how such individuals can recognize their inner strengths, provides tools to help improve personal relationships and communication skills, and presents a series of learning strategies for successfully living in an extrovert world. 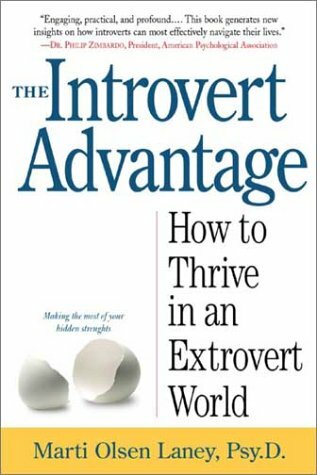 About: Describes how introverts can work with their temperament to live a fullfilling life and thrive in an extrovert world, covering such topics as relationships, parenting, socializing, and coping in the workplace. About: Some people-a sizeable minority- prefer to avoid the limelight, tend to listen more than they speak, feel alone in large groups, and require lots of private time to restore their energy.